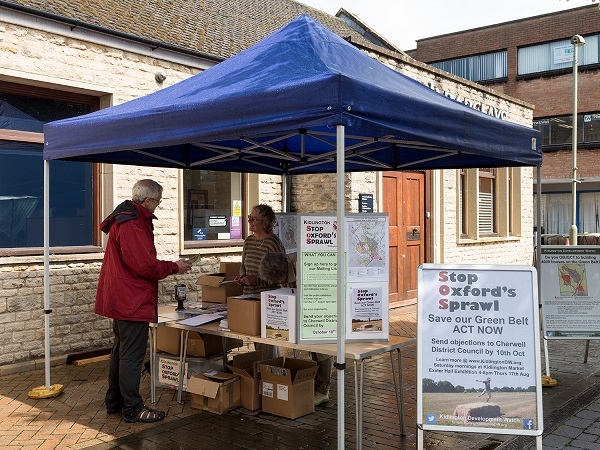 Our stall at Kidlington Market attracted a lot of interest despite the challenge of frequent thunderstorms. We were overwhelmed - by volunteers queuing to collect material for the household leaflet drop - and by people wanting more information. 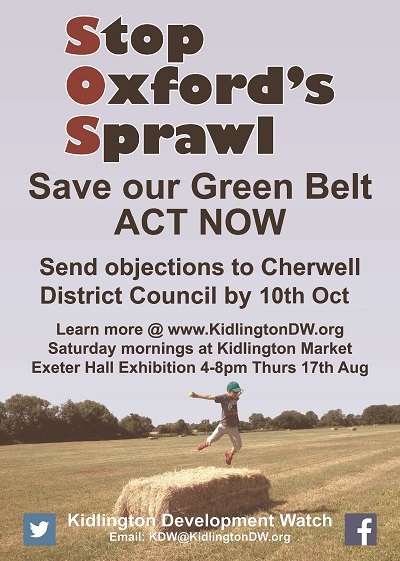 Many told us that they had already objected so we explained that this is round 2 and they need to object again. 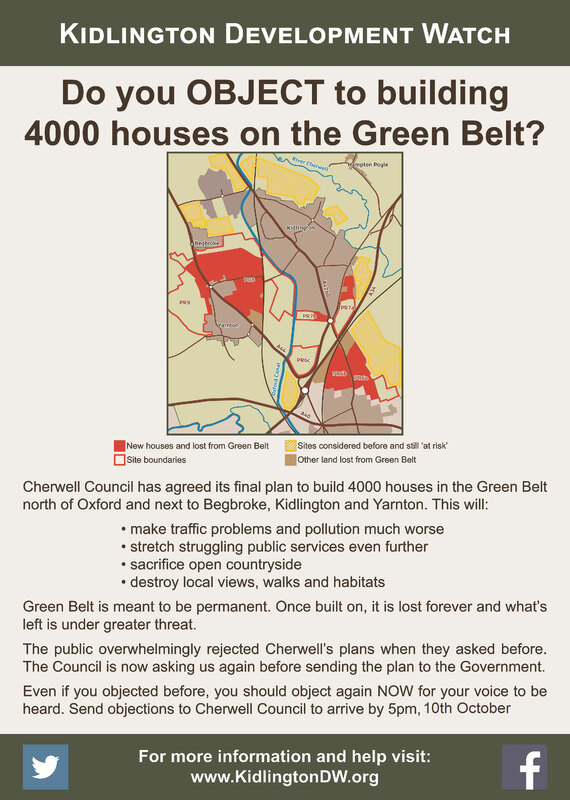 So many people are vehemently opposed to losing the Green Belt. We are getting the message out. 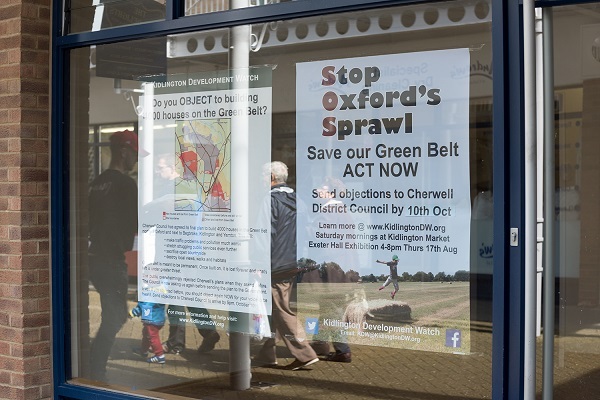 News is hitting homes across the village and around, thanks to a small but determined army of volunteers hitting the streets and the support of local businesses. We're proud of our informational material. Printing was made possible by generous contributions from our members, supporters and the CPRE South Cherwell branch. Cherwell Planning Office kindly let us have copies of their summary booklet to hand out. We'll be back next Saturday come rain or shine.